"Oh Say, Can You See...?" In the 200 years since Francis Scott Key first wrote those words on the back of a letter they have inspired millions. The hope and joy expressed in the American National Anthem are so moving that more than five million people signed petitions for its official adoption. Yet within those words is an expression of a Christian's faith and gratitude for deliverance. 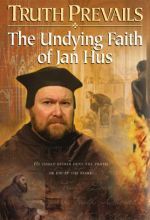 Told through the words of eyewitnesses and those who knew him best, this hour-long presentation tells the story not only of the song, but of the man and the beliefs that inspired it. Francis Scott Key was a lawyer, a father and a church leader. But he was not a songwriter or a professional poet. Yet, his words captured the sense of hope and optimism that continue to define America. In God is our trust. We are responsible for the most sacred of trusts--to our country, to the world, to our God. Widescreen. - Epilogue: What Happened to These People? - Dramatic reading of all four verses of "The Star-Spangled Banner"
Most Americans know that "The Star Spangled Banner" was written by Francis Scott Key, but few are aware of the circumstances under which Key penned what would eventually become America's national anthem, and even fewer know much about Key's larger historical place, later accomplishments, or the substance of his character. Born on his parents' Maryland plantation, Key became a lawyer, poet, and man of calm and capable influence. The facts surrounding the creation of "The Star Spangled Banner" are riveting, especially considering the enormous personal risk that Key took in approaching British troops—who had already burned down Washington, D.C., in September 1814 and were advancing on Baltimore—to negotiate a prisoner release. 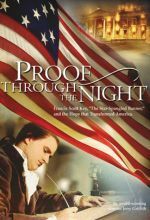 Proof Through the Night brings to life the long night that birthed our national anthem, as Key—imprisoned aboard a British vessel—helplessly watched the battle between shipboard Brits and Americans stationed at Fort McHenry. But that story is just one chapter in Key's life, examined here through voiceover narration, dramatic re-enactments, archival eyewitness accounts, and illustrations. Viewers will learn about Key's famous prosecution of an abolitionist (although Key himself freed his slaves), his defense of Sam Houston on an assault charge, and his crucial role in helping avert a crisis between the federal government and the state of South Carolina over a tariff conflict. 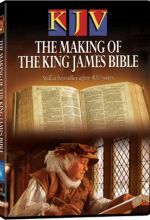 DVD extras include related featurettes, extended interviews, and a dramatic reading of the complete "Star Spangled Banner." Highly recommended. I learned a lot from this video. This is a clear way to see God's hand in our past, what roles Key played in our country at the time and His heart for poetry. I will use it as a tool in my home school.